STSW partner Andrew White is a former Assistant United States Attorney who served as a Senior Litigation Advisor to the Clinton Independent Counsel in the Monica Lewinsky investigation. Andy has over 25 years of experience trying civil and criminal cases of all kinds. He has coordinated hundreds of complex federal criminal investigations and has tried over 400 state and federal criminal trials, including over 30 federal jury trials. Mr. White has represented numerous corporations and individuals in all types of civil cases in state and federal courts including patent infringement, fraud, breach of contract, interference with contract, enforcement and defense of employment and mediation agreements, and election law. He has defended interstate trucking companies in proceedings before the Federal Highway Safety Commission as well as individuals charged with violations before the U.S. Commodity Futures Trading Commission. In one significant case, Andy was named by the U.S. Department of Justice as lead counsel defending an F.B.I. agent in a multi-million dollar civil rights lawsuit in U.S. District Court. Most recently, he represented a multi-billion dollar casino and entertainment company in a proceeding in State court to block a local referendum on a zoning law for a casino. Mr. White’s federal criminal and civil practice has included cases in Maryland, Pennsylvania, Virginia (Eastern), New Jersey, Georgia (Northern), Florida (Southern), Iowa (North & South), Illinois (North & South), Utah and California. He is often called upon to handle very unique and complicated cases. For example, he recently won a major victory in United States District Court in Atlanta in a case where he convinced the Court to invoke rarely-used federal laws to block a pending State court prosecution of his client. * Successful representation of an ex-NBA basketball player and his wife in a federal criminal fraud investigation and prosecution in U.S. District Court. All indicted charges dismissed. * Represented an F.B.I. Special Agent in state criminal investigation into the mistaken shooting of an unarmed individual in the course of a bank robbery investigation. No criminal charges brought. * Represented the General Counsel of a publicly traded corporation targeted in a federal fraud and obstruction investigation. No criminal charges brought. * Represented target of federal investigation into $750 million dollar currency trading fraud scheme against Allfirst Bank and Allied Irish Bank. No criminal charges brought. * Successfully represented multiple clients in actions against the Commodity Futures Trading Commission (CFTC) in United States District Court in Washington, D.C.
investigation involving telemarketing fraud brought by Federal Trade Commission and the United States Department of Justice. Councilwoman on theft and election law charges. The case was dismissed by the Office of the State Prosecutor in the middle of the prosecution case at trial in Baltimore City Circuit Court. Mr. White has also been a guest lecturer in criminal procedure at the University of Baltimore and University of Maryland Law Schools. He is a recognized expert in federal criminal procedure and has previously testified in state court as a defense expert in the area of federal court criminal proceedings. He was the first federal prosecutor in the United States to use federal conspiracy, false statement and obstruction laws against trucking companies and executives for the falsification of truck driver’s logs to mask violations of federal highway safety laws. He received an award from a national public interest group for this investigation and prosecution. • He was named “Prosecutor of the Year” by the International Association of Financial Crimes Investigators in 2000. • He received awards from the U.S. Secret Service and the Treasury Department for the investigation and prosecution of a large-scale conspiracy to steal millions of dollars in U.S. Treasury checks. • He headed up the investigation and prosecution of a multi-million dollar international bank fraud scheme that threatened the viability of a publicly traded corporation. Mr. White also served as a private legal consultant and adviser to Independent Counsel Robert Ray in the investigation and prosecution of President William J. Clinton. As a consultant in the Whitewater and Lewinsky matters, Mr. White helped to coordinate the grand jury investigation of the President and worked with the Independent Counsel to prepare the case for trial. Mr. White is a 1981 graduate of the University of Vermont. 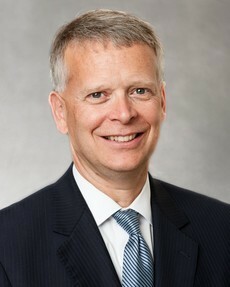 He graduated from Syracuse University College of Law in 1985 and served as an editor on the Syracuse Law Review. He also served on active duty for three years in the United States Navy and served as a judicial law clerk to the Judges on the U.S. Navy-Marine Corps Court of criminal Appeals. He left military service as a Lieutenant Commander. 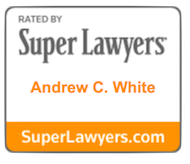 Mr. White was named as one of the “Top 50” lawyers in Maryland by Super Lawyers Magazine in 2010, and was also named by the American Trial Lawyers Association as one of the “Top 100” trial lawyers in Maryland in 2008-2011.